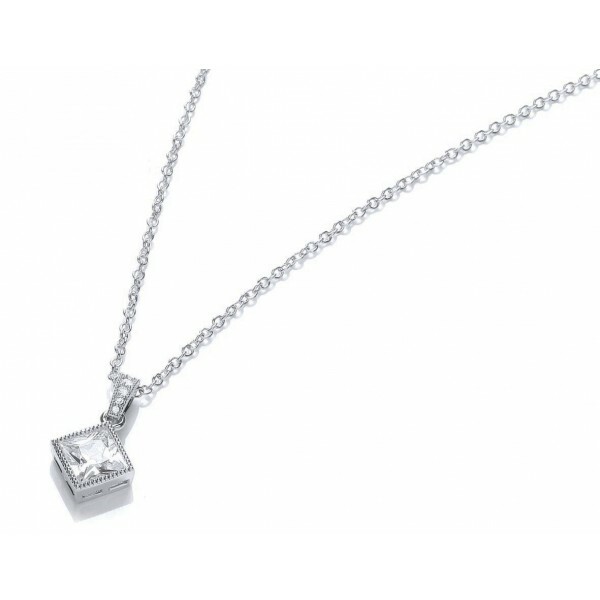 Truly elegant, this shimmering pendant is hand set with a flawless 1.6 carat princess-cut cubic zirconia and finished with an intricate millgrain edge to enhance the heirloom-inspired look. This pendant is delightfully suspended on a fine belcher chain will add a touch of luxury to any outfit. Chain length is 40cm with a 5cm extender chain. Matching earrings (CZE984), bracelet (CZBT525), and ring (CZR456) are also available.